Super Smash Bros Ultimate is set to bring the largest roster we’ve seen in the series yet. It will feature every fighter from all previous Smash Bros games, as well as some new characters like Ridley and Inkling. With all of those characters to choose from, we figured we’d put together a guide on each, highlighting what’s changed since their last appearance, what the final smash is this time around, and what to expect in terms of alternate costumes. 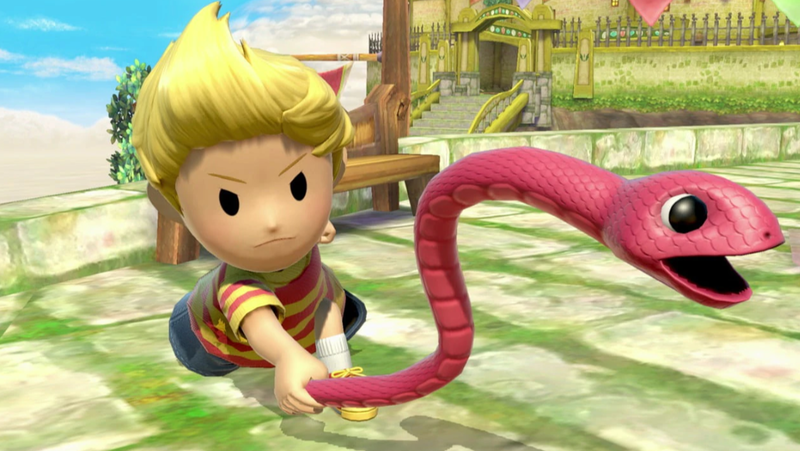 In this Super Smash Bros Ultimate Lucas Guide, we’ll be detailing Lucas. Specifically, we’ll be looking at the changes that have been made since his last appearance, what his Final Smash is, and what Alternate Costumes you can select. Lucas is back for Super Smash Ultimate, having last appeared in SSB4. He also appeared in Brawl, where he made his series debut. To help you get back into the swing of things, or to give you enough info to consider Lucas as a viable fighter, we’ve collected some key info below. In the table listed out below, you can find a complete list of Lucas’ moves in Super Smash Bros. Ultimate. 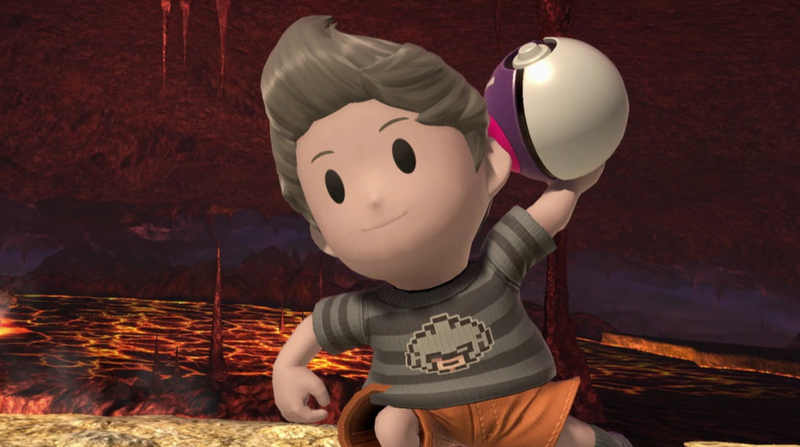 The final entry is the Final Smash move for Lucas, where a nice doggo joins in the fight. Several animations have been changed including idle, PK Fire, jumpsquat,, Dash, and grab. PK Fire deals more damage. PSI Magnet now resembles its Mother 3 design. 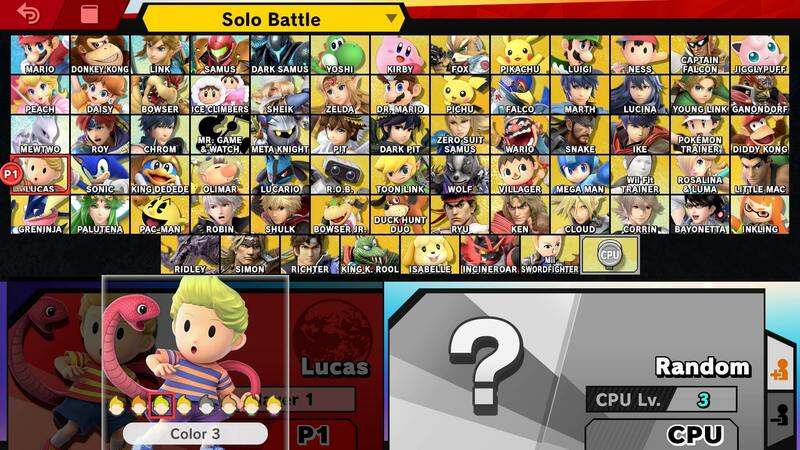 Lucas has a number of selectable Alternate Costumes in Super Smash Bros Ultimate. They are color swaps of his striped t shirt, then a green and a purple t shirt as well. There’s a grey variant that you can view in the image embedded above. Lucas’ Final Smash has been changed slightly for Super Smash Bros Ultimate. It’s still called PK Starfire, but the meteors now move towards the center of the stage. He is assisted by Boney and Kumatora, and the move as a whole resembles its Brawl version more closely. You can see PK Starfire in action in the video embedded above.